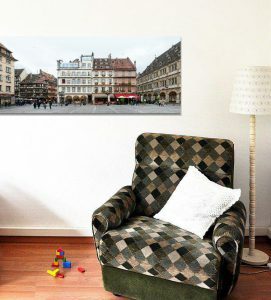 The Place Gutenberg (Gutenberg Square) is situated within the centre of Strasbourg on the Grande Ile and close to the Strasbourg Cathedral. Here we see its south side, on the left the Rue Merciére leads towards the cathedral. In the central block two restaurants are residing, the “Au Gutenberg” and the “Zum Stadtwappe”, both bearing additional inscriptions – “Biere Schützenberger” and “Biere Gruber”. Obviously the names refer to the german past of the city. On the right edge we also see the Neue Bau (engl. New Building), a former extension building for the old town hall (the Pfalz) situated on the square. After the demolision of the old town, the building itself became the new town hall. 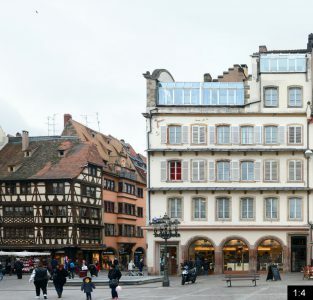 Today it houses the chamber of commerce of the french Department Bas-Rhin. 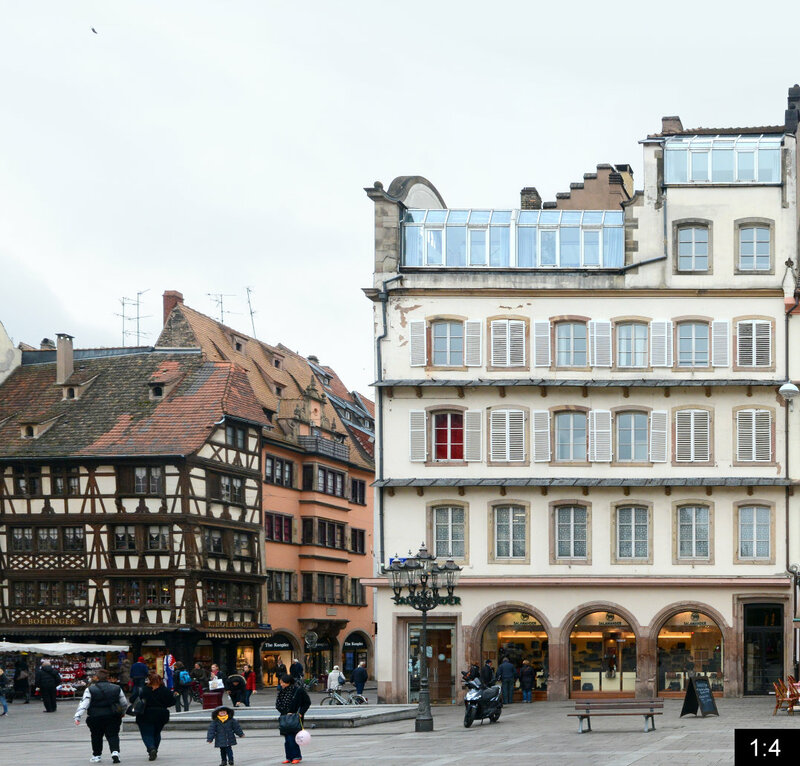 It is regarded the most important Renaissance building of Strasbourg and as such a landmark of the old town (UNESCO heritage site).